House Beautiful is a monthly home design magazine putting the reader’s lifestyle, perceptions, and visions first. It is one of the only premier home publications in the UK. 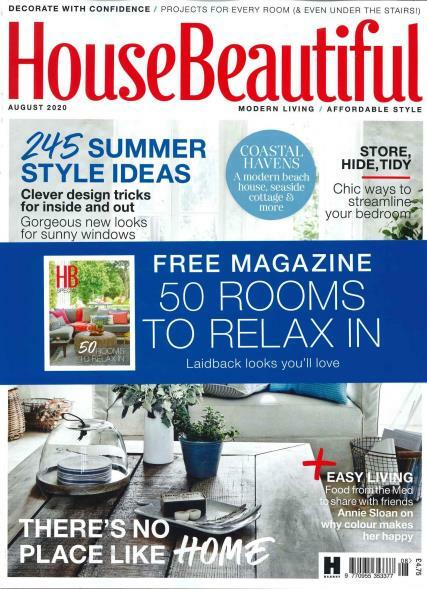 Buy a single issue or subscription to House Beautiful magazine. House Beautiful has the belief that everyone has a beautiful home and that you can make yours striking by enhancing it. Each page is packed with the latest trends and styles combined for both new home owners and those who are looking to add life to their current home. Each issue includes inventive decorating ideas which inspire readers to try out something new and provides practical advice on how to decorate and renovate your home with real reader homes from around the UK. See into the most glamorous, most understated, most ostentatious, and even rustic homes – all inside this luxury print! The wife loves it, lots of idea's etc. We are now looking to move home. Each vibrant and colourful edition is packed with products and ideas to turn every homeowners dream to make their home the perfect living space they crave. I took out a subscription to a couple of years ago after reading a couple belonging to a friend as was starting to renovate my new house. I have to say the design ideas, tips, product recommendations have been fantastic and extremely essential for a novice like me when it comes to design. My renovations have for the moment ceased but still subscribe as just love it so much.